What does "collusion" mean in poker? - Casino Answers! Casino Answers » Poker » Online Poker Beginner Q&A » What does “collusion” mean in poker? Poker is and always has been a game where everyone is looking for an edge. There are many ways that people look for an edge, but some people take things too far and go beyond the rules. Working together with someone else at a table is called collusion and it is clearly against the rules. Violating this rule could lead to your expulsion from the casino or online poker. Collusion refers to two or more players who conspire to cheat at a poker game by playing together. By communicating their hands to each other they can obtain an advantage over other players at the table. 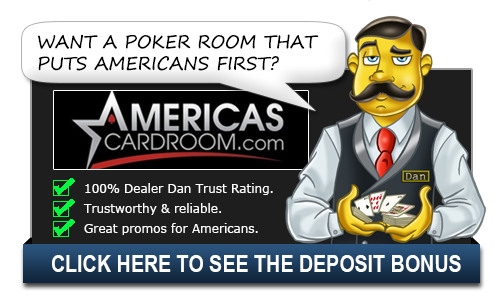 All online poker rooms have sophisticated anti-collusion software, and have strict penalties for this behaviour – including confiscating your entire bankroll. There are many different ways that players can collude. The most common way is when there are two players at a table and they tell each other what they have. This doesn’t guarantee a victory, but it does keep them from betting against each other and does keep the pots down. You also have the added knowledge of knowing two additional outs that no other players at the table know. Another way that players collude is by raising. Let’s say that there are two players at the table who are working together and one has a good hand. Their partner (who possibly doesn’t have a good hand) would raise pre-flop and hopefully (for them) get a couple of callers. When it got to the other player’s turn they would also raise, thus making a pot that might normally be one size into another pot that is double that. When it gets to the player’s turn with the weaker hand, they might fold their hand which is a certain tell that they were colluding with another. While not as damaging to the other players, another form of collusion is when you let someone else play your hand for you. This can be in person or through a screen sharing software. Basically, if there is a less talented player in a tournament or something who has a friend who is much more experienced, when they get late into the tournament they would then hand off the controls of their game to the more experienced player. This is harder to catch, but also clearly against the rules and a form of collusion. There have been plenty of instances when people have been busted for collusion, but one of the most infamous was at Party Poker in 2017. A player noticed some very curious play among a group of people in poker tournaments. Despite the math saying otherwise, none of them would put each other all-in and the only people eliminated would be done by other players. When this player was eliminated, the tournament would end in three minutes. This was just one example, but the player collected his suspects and then sent them and their tournament histories to a rep at Party Poker. After an internal investigation, those players were banned and all money losses were refunded to those affected by it.